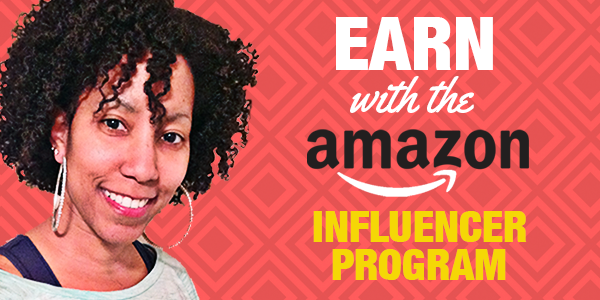 Have you joined Amazon’s Influencer Program yet? It’s been out for many months now, but they recently opened it up to more people and you don’t have to wait as long to get approved. It’s very much like their affiliate program and managed in the same location, but you receive a personalized page with a vanity URL. It’s a personalized way to promote products you recommend to your audience without using the long, clunky affiliate URL. The people who will benefit the most will be bloggers, vloggers and social media mavens who tend to discuss topics that have products sold on Amazon. For example, if you’re a beauty or tech blogger/vlogger, you may shop a lot on Amazon. No doubt you get questions about what products you use. This is a great way to display them! You can post your vanity URL in your blog posts, social media content and YouTube description like social media diva, Ms. Ileane does in her gear videos. If you’re interested in joining, I created a 5 minute video to show you how it works. If you get approved, don’t do what I did. I forgot to use it and got the inactivity warning. They will close accounts that aren’t active. Does the email you use for your influencer have to be your Amazon account email or the Social platform email? It’s tied to the email you use on Amazon. The email you use on the social platform doesn’t matter. You just have to login and prove to Amazon you own the social account. Wow! “Ask and it shall be given!” I was just sitting here trying to figure out a way to get moving online in a positive and less “computer tech savvy” way, and remembered your “2createawebsite.com” page. Low and BEHOLD! I will definitely watch your 5 minute video, and thank you so much for sharing!!! Thanks for sharing. I hardly remember to use some of these affiliate links. I will pass the message across to friends who are more likely to use it. Thank you for letting us know about the amazon influencer programe, I knew about it but still haven’t managed enough time to finally get arround it. Just like you said, am mostly guilty of jumping into programes and not giving them enough time to fully use it later on. Let me take this opportunity to finally jump on it and give it a fair amount of time to use it. Hopefully it will being in some cash! That said, my Amazon affiliate account has been inactive for years as well, need more time to make good use of everything. I did not know about this amazon’s influencer program, Thank you for sharing this detail with us. Got new things to try this time, as always your blogs encourage me and i learned a lot from here. Will try this soon and will share results here too. This is awesome. Never knew of this program even though I have been an affiliate for years. Wow Lisa! Thanks for sharing this 🙂 As usual, you are always such a resource. This is definitely something I would love to be a part of. But, when you say you signed up but didn’t use, do you mean they will deactivate if people are not visiting and purchasing merchandise? If yes, is there a timeframe? If you aren’t making sales after a certain period they will deactivate. Same thing with their affiliate program. I don’t know what the timeframe is before they send a warning, but when they do warn you, you have 45 days to make a sale after that. Do you have to have a certain level of followers or web traffic to qualify? They do look at follower count, activity and engagement so it does vary. They haven’t publicly shared any specific numbers but I’ve seen varying results. Someone commented on the video that she has 30,000 subscribers on YouTube and was denied, but I know someone with 4,000 subs got in. So clearly they look at a lot of different factors. They don’t seem to be revealing specifics. 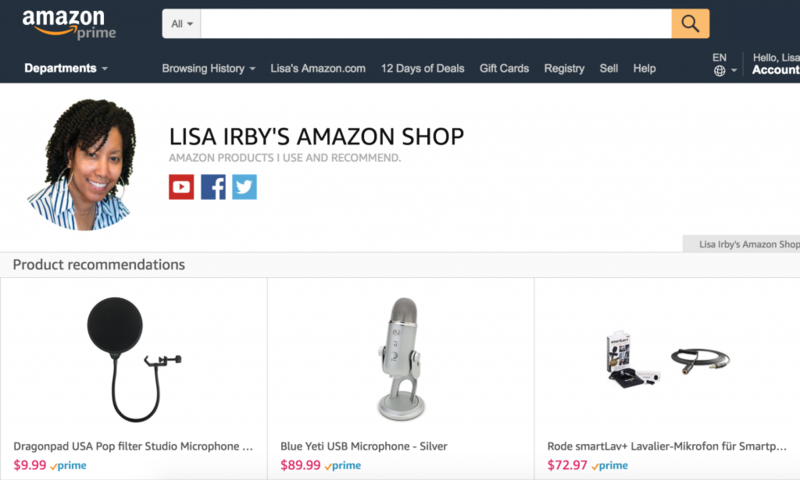 Amazon keeps on growing and helping the average people make a living online. I love it. I was not very aware of this influencer program. It’s like the affiliate program, I see. It is helpful to know this. I don’t promote any products on amazon because my main niche is internet marketing, but I know that a lot of the people in my niche audience do and would love to learn more about this. How have u been doing with it? I literally just setup my page the day before I created the video after Amazon warned me for not using it. So I have done nothing with it yet. Thanks alot!!!. This info was soo helpful to me. Thank you. I will look into it asap ? I was accepted in this program last month, but I still can’t get into Merch by Amazon. Thankfully, Teespring is picking back up for me. Oh good! Spreadshirt is up for me this month. Are you uploading there too? RedBubble stickers are going nuts right now. I’ve been raising prices on SS and people are paying! Haven’t checked my Teespring stuff in a while but organic sales were picking up over the summer. I haven’t checked Spreadshirt in months. I need to add my new designs there. I’ve never sold anything on RedBubble. Do you think it’s worth it? Yes, but RedBubble has a very different audience. Very artistic designs related to pop culture, aliens, Star Wars, etc. sell very well there. It’s not the same kind of stuff that sells on Spreadshirt, Zazzle and Merch. You can even look at their featured designs and tell it’s different. Quick update. I’ve finally been approved. It only took 13 months lol. Say what??? So it’s showing on the landing page? What the…. Yes, they require you to put your email address on your ABOUT page on Facebook for 14 days to verify you. Then you can remove it. Oh… on Facebook! OK, I was thinking on the Influencer page. And now I see Brankica said “bio page”. I get it now. Thank you. You’re welcome! And thank you! Love your emails!